Sensory Processing Disorder (SPD) is a condition that exists when sensory signals don't get organized into appropriate responses. It can be referred to as a traffic jam that prevents certain parts of the brain from receiving the information needed to interpret sensory information correctly. This includes vision, audition, tactile, olfactory, taste, proprioception and the vestibular system which allows us to function in the main areas of life. People affected by SPD experience a wide range of challenges, in performing everyday tasks. Motor clumsiness, behavioral problems, anxiety, depression, school failure, and other impacts can result if the disorder is not treated effectively. Some of the everyday challenges can include experiencing motion sickness, having difficultly to hold a pen to write and finding fabrics itchy. 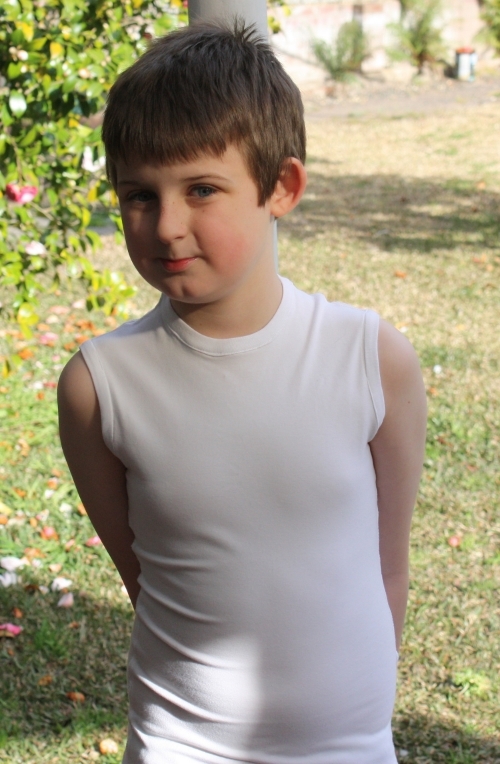 Calming Clothing has been designed specifically to help children with SPD to feel comfortable in the clothing they wear. Calming Clothing has been observed by parents and Occupational Therapists to have a positive, calming and centering effect on children who experience sensory processing disorder (such as those experienced by children with Autism). It has been observed to have an equally positive effect for children with low muscle tone such as those experienced by Rett Syndrome.